Organic chemist who took inspiration from nature. Virginia W. Cornish is professor in the departments of chemistry and of systems biology at Columbia University in New York City, New York, USA. Ronald Breslow discovered new chemistry at nearly every corner of what he called the “central science”. At heart an organic chemist, he had a mercurial, intuitive understanding of the reactivity of organic molecules. His most significant scientific contribution was his founding of the field of bio-organic chemistry, based on his realization that, if nature’s reactions followed the rules of organic chemistry, then chemists could design reactions that are inspired by nature. 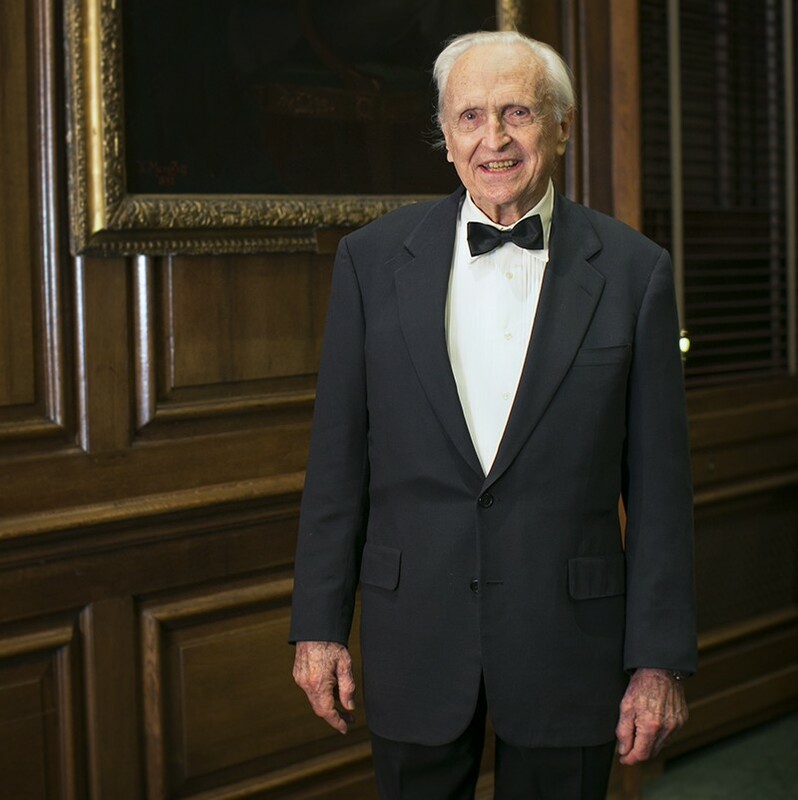 Breslow spent his entire independent career in the chemistry department at Columbia University in New York City, where he oversaw the education of more than 250 scientists, many of whom are now leaders in organic chemistry. Away from the bench, one of his proudest achievements was chairing the committee at Columbia in the 1980s that made the successful case for the university’s Columbia College to admit women. He embodied what an academic leader could do to mentor younger scientists and promote women professionally, including his two daughters, Stephanie and Karen. Breslow, who died on 25 October, was born in Rahway, New Jersey, on 14 March 1931. His mother, Gladys, supported the family as a riveter while his father, Alexander, served as an army doctor during the Second World War. As a child, Breslow was an all-round student, excelling in humanities, sports, student government and music. He also experimented with chemistry sets in his family’s basement, and at the age of 17 was a finalist in the Westinghouse Science Talent Search, a prestigious national competition. He began to focus on science as an undergraduate and gained a bachelor’s degree in chemistry from Harvard University in Cambridge, Massachusetts, in 1952. There, he met his future wife, Esther, who went on to have a distinguished career as a biochemist at Cornell Medical School in New York. Following in his father’s footsteps, Breslow entered Harvard’s graduate programme in medical science. He left with a master’s degree after one year to focus on academic chemistry. Early in his career, he worked with two Nobel-prizewinning chemists: Robert Woodward during his PhD at Harvard, in which he was trained in the reactivity of organic molecules; and Alexander Todd as a postdoc at the University of Cambridge, UK, who taught him how to apply the rules of organic chemistry to biomolecules. In 1956, aged just 25, he became an instructor in Columbia’s chemistry department. In the 1950s, Breslow showed how organic chemistry could reveal the workings of vitamin B1, a ‘helper’ molecule known as a cofactor, which allows enzymes to catalyse different reactions. At the time, proteins were understood to use the chemistry of their amino-acid building blocks to do the work of the cell. But it was not clear how vitamin B1, or its derivative thiamine pyrophosphate, allowed proteins to expand their chemical repertoire. In 1958, Breslow showed that the unique placement of the carbanion between the nitrogen and sulfur atoms in vitamin B1’s thiazolium ring stabilizes it, enabling catalysis of a broad range of demanding chemical transformations. As a newly minted professor, Breslow also made fundamental contributions in a completely different area of chemistry: a newly explored type of chemical bonding called aromaticity. Quantum mechanics had predicted that, in addition to classical covalent bonds, aromatic molecules could have bonds in which electrons are shared, or delocalized, across multiple atoms. In aromatic molecules such as benzene, the cyclic conjugated π-bond network contains 4n + 2 electrons, which makes the molecules remarkably stable. In 1957, Breslow became the first to report the synthesis of an aromatic compound with n = 0, the cyclopropenyl cation. In subsequent work, he established that molecules with similar conjugated bonds but only 4n electrons are destabilized, and he popularized the term antiaromatic to describe the effect. In the 1960s, Breslow articulated that a major challenge for organic chemists lay in selectively adding different atoms or functional groups to unactivated carbon–hydrogen bonds to make the molecules more useful. Beginning in 1969, Breslow published a series of papers showing that he could selectively activate particular C–H bonds by tethering a catalytic group to the molecule in the right geometry. His studies laid the groundwork for today’s field of C–H activation, which is important in drug synthesis and beyond. Breslow also pioneered the creation of ‘artificial enzymes’, which mimic natural enzymes to catalyse a range of organic reactions. Starting in the early 1960s, he showed that artificial enzymes known as cyclodextrins could synthesize amino acids, cleave bonds and even work in a similar way to vitamin B1. This work inspired the field of chemical biology, which combines organic chemistry with molecular biology to build molecules with new structures and functions. Breslow — with colleague Paul Marks, who was then president and chief executive of Memorial Sloan Kettering Cancer Center in New York City — was also instrumental in developing the cancer drug vorinostat. In the 1970s, chemists had shown that certain organic solvents arrested the growth of cancer cells. Breslow realized that he could design more-potent drug molecules by linking together pairs of metal-binding molecules that mimicked the mechanism of the organic solvents. The US drug company Merck acquired the licence for vorinostat, and Breslow and his wife used the proceeds to endow a chair in Columbia’s chemistry department. Ron was generous to his students and colleagues and a champion of women. He was a keen musician, composing jazz at home in the evenings. I first met Ron when I was an undergraduate and he took me into his laboratory. After I gained my PhD, he hired me back to the faculty at Columbia, where we worked together for almost two decades. He liked to say that chemistry was magical. Professor Breslow, on behalf of so many of your students and colleagues, thank you for the decades of magic.